Here you will find stocklots, bargains, discontinued models and tested shipping returns from our range - Schnäpppchen hunters are just right. Badelaune - Schwimmbadbau Thomas Uber UG (haftungsbeschränkt) provides for over 20 years for a relaxing spa vacation home. Our company is engaged in addition to new construction and reconstruction of swimming pools, saunas, infrared saunas and solariums for private clients or for a commercial user to trade all of its spare and repair parts. Badelaune.de equips each pool and sauna all in comfortable, contemporary, individually. Browse the wide range of our page. 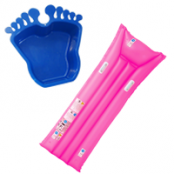 Select pools and pool accessories popular brands. Discover saunas, pool, infrared cabin and pool accessories to turn your garden into a wellness island for modern lovers. Better quality of life and pleasures at home - the trend of their own desire fulfilled pool or sauna in the house or basement. 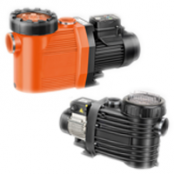 Our extensive range includes products from many leading manufacturers. The program ranges from the classic swimming pool and sauna products, energy-saving infrared heaters for the direct heating of the office workplace or warehouse, solar showers for gardening and camping, wooden tubs, pool enclosures, fish holding tanks to a battery powered inflatable Jet Ski. Your Pool: Meet the bathing in a tasteful manner! Pools are not only to cool down there. Your pool should be a lot more eye-catcher in your garden paradise, the place where you indulge in after a busy day, your personal well-being experience. Badelaune.de pool of leads D & W Pool, Pool Future Pool and hobby that match perfectly with arbitrary sizes of your individual needs. 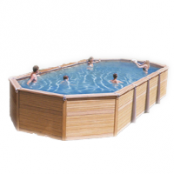 We offer free-standing pools, children's pool and Flexi pools that meet the highest aesthetic standards, are informed by the best workmanship and quality are right accessories with products from our store is an excellent supplement. Your Sauna: strengthens the circulation and has a positive effect on the metabolism! Now, little can compare with the pleasure to enjoy in comfortable seats and saunas to the infusion. Those who can not only tackle a cozy, but also less hot and dry, like, you can enjoy a sauna in a sweat bath cabin even when mild, moist, warm bath types. Benefit from the extensive experience of reputable manufacturers Saunalux, TPI and NEW to redefine in your sauna ease, luxury and vitality of its own. 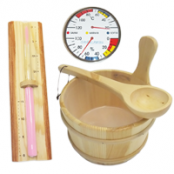 Whether you're a member sauna, log sauna, or prefer a sauna with Corner: Here you can find the required appropriate sauna accessories sauna and also for pure pleasure. Badelaune.de: An online store with many advantages for you! The team of Badelaune.de looking forward to you and wish you much fun shopping. A very good quality products and expert advice we have on the heart as well as the possibility of long-term supply of spare parts.